Throughout history, a library served as the place where learners connected with resources like books, periodicals, films and recorded music. Libraries still connect learners with resources and opportunities today, but they have evolved into more than just a place to receive and study information. 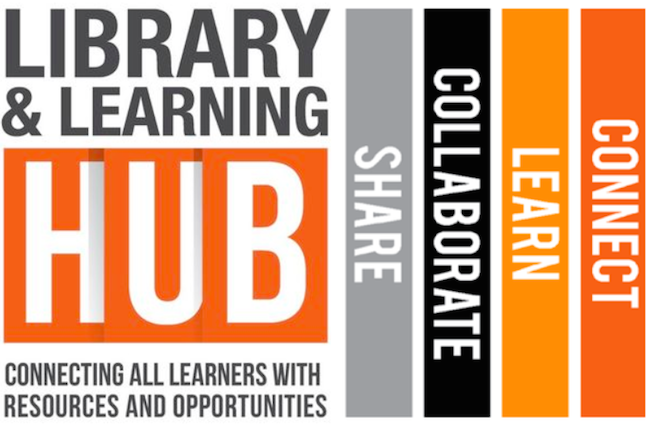 When learners visit a library today, they not only connect with resources, they collaborate with others, create new things and share their inspired ideas within their communities and the world. The Library & Learning HUB is a space for learners of ALL ages, including Central York students, faculty, families and community members. It is a place where all learners will find incredible resources, expert assistance and diverse opportunities. Library & Learning HUB visitors will find quiet reading spaces, small and large group project spaces, multimedia recording studios, research resources and personal computing devices for learning. Learners won’t answer questions – they will ask them.